The latest Tweets from Andrea Volpini (@cyberandy). one of the better-known cyberandy. Rome, Italy. View Andrea Volpini's profile on LinkedIn, the world's largest professional community. Andrea has 4 jobs listed on their profile. See the complete profile on LinkedIn and discover Andrea's connections and jobs at similar companies. Andrea is an entrepreneur in Rome, Italy. Read Andrea's blog from their page. Explore Andrea Volpini's 467 photos on Flickr! 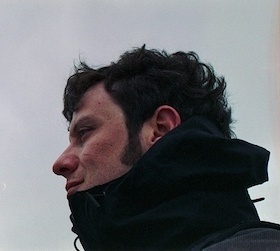 ... Andrea Volpini. Follow. CyberAndy. 155 Followers•124 Following. 467 Photos. Rome, Italy. Joined 2004. See what Andrea Volpini (cyberandy) has discovered on Pinterest, the world's biggest collection of everybody's favorite things. Andrea Volpini: I have been part of the successful start up of several industries. User Startup Experience, Connections and Recommendations. Andrea Volpini http://photos3.meetupstatic.com/photos/member/5/1/7/e/ member_11180862.jpeg http://www.meetup.com/Egypt-Startups/members/ 10410457/.